Yes! One of our favourite acts we hosted in 2017 are back with an album ready to go. Real high-end indie pop with quirk, swagger and charm, these guys will go far. Since last year they have been playing their biggest shows to date – in front of thousands as part of Bastille’s nationwide arena tour. Ed Cares, one of west London’s most in-demand male nannies, was overheard humming a song he had written, by Katie, aged six, who persuaded him to form a band: “You’re probably my second favourite artist after Katy Perry.” Sourcing some neighbourhood musicians — Emma Topolski (bass), Rich Legate (guitar) and Glyn Daniels (drums) — Ed soon had an able band to perform with, and gave it the only logical moniker in the circumstances: CHILDCARE. 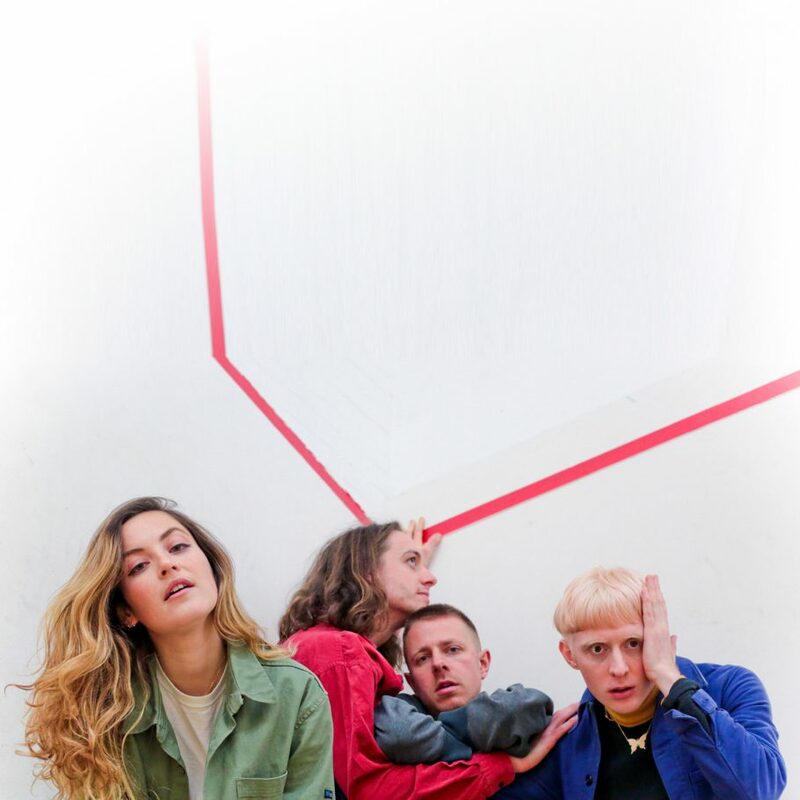 Having honed their vivid and visceral live show on stages including Reading and Leeds festivals and now some of the land’s major concert venues, we’re really excited to hear the songs from their forthcoming record.